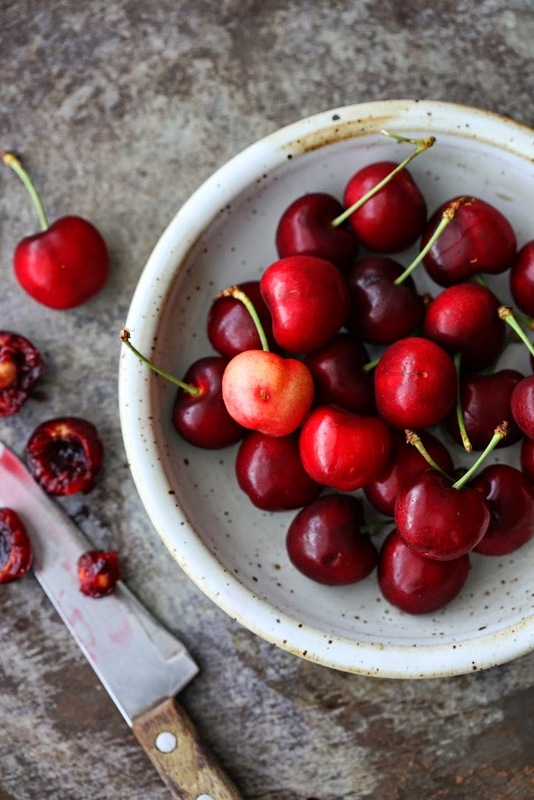 We love it when cherries are in season but sometimes end up buying way too much. 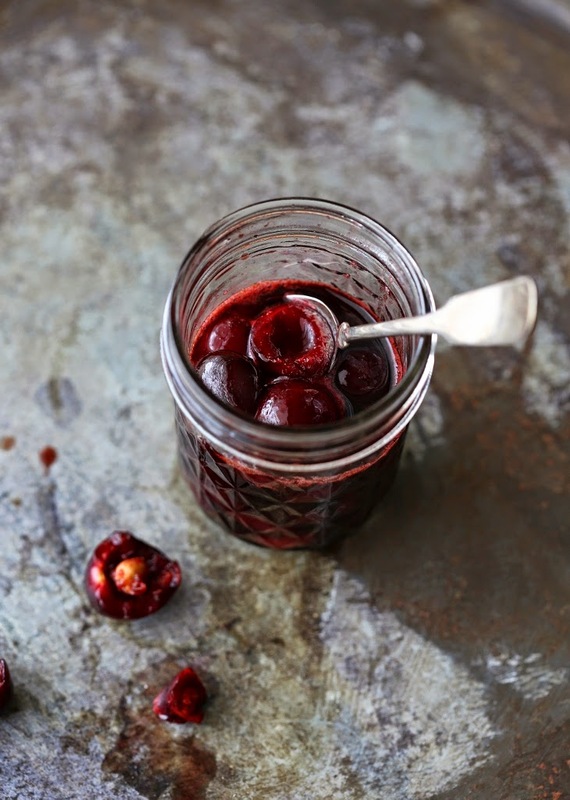 For the leftover cherries, we turn them into a simple, delicious, and versatile compote. It can be served with roast lamb or duck, a wide range of cheese from ricotta to Humboldt Fog, or as a beautiful topping for cheesecake, pancakes, ice cream, and yogurt. 1. In a small saucepan, combine sugar and water and bring to a simmer over low heat, stirring until sugar is dissolved. 2. Add the balsamic vinegar and cook for another 2 minutes. 3. Add the cherries and let them simmer just until they are slightly soft, about 10 minutes. 4. 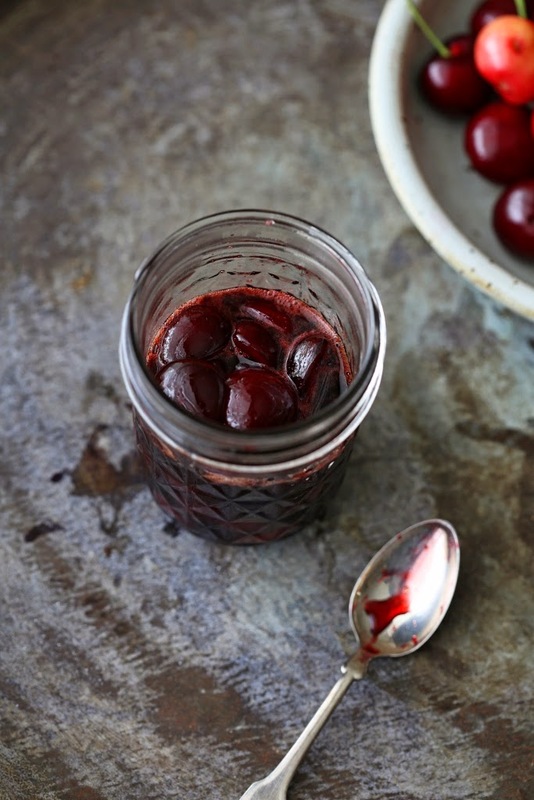 Transfer the compote to a sterilized glass jar and let it cool to room temperature. The compote will keep in the fridge for about 5 days.